On November 13, 1996, Warren Bolton sat in the audience at First Baptist Church in Columbia waiting to hear what he expected to be a political speech. Instead, he heard a compelling personal testimony that led him to dedicate his life to Christ. Rev. Bolton would eventually become a Sunday School teacher at his home church, Gilbert Memorial Baptist, in Columbia. He would serve as church administrator for three years. During that time, he taught young adult Bible Study, led the effort to implement a formal budgeting process at the church and was instrumental in securing financing for the first new church building in nearly 50 years. In 2000, God led Rev. Bolton and his wife, Tanya, to Bethel AME Church, where they would become co-chairs of the Married Couples Ministry and start a College Ministry. Rev. Bolton would hold multiple positions at Bethel, including Sunday School and Bible Study teacher as well as a member of the Steward Board and the Stewardship and Finance Commission. 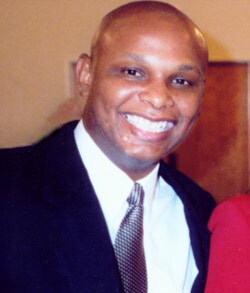 In 2004, Rev. Bolton accepted his call into the ministry. In 2014, again led by the Holy Spirit, Rev. Bolton and his family joined Mt. Zion Baptist Church on Black River Road in Camden. Both of the Bolton children, 11-year-old Alexander and 7-year-old Christopher, were baptized at Mt. Zion. Also, on November 16, 2014, Rev. Bolton was licensed as a Baptist preacher at Mt. Zion under the leadership of Pastor. B. Jerome Goodwin. He was ordained at Mt. Zion Baptist by the Mt. Moriah Baptist Association on October 25, 2015. Rev. Bolton spent nearly 30 years as a journalist at The State newspaper in Columbia. During his career, he became the first African-American to serve on The State's editorial board as well as the paper's first black Associate Editor. Rev. Bolton, a Columbia native and University of South Carolina graduate, has received numerous journalism, civic and community awards. In 2011, he published his first book, "God Is Grace: Lessons to a Father from a Son." After the devastating October floods in South Carolina, he worked as a Research and Writing Specialist for FEMA from late 2015 until February 2016. Rev. Bolton currently is a Public Information Director in Public Outreach/Communications at the S.C. Department of Health and Environmental Control. He also is vice president of Bolton Counseling & Consulting, a full-service counseling and consulting firm founded and owned by his wife, Tanya, who is a Licensed Professional Counselor. He and Tanya have led Married Couples Ministries and retreats and helped establish other Couples Ministries in various churches for more than 15 years. On Sunday, June 5, 2016, the Mt. Zion Baptist Church congregation called on Rev. Bolton to become its next pastor, a God-ordained assignment he humbly and dutifully accepted. Rev. Bolton clings to the bold declaration of Romans 1:16: For I am not ashamed of the gospel of Christ: for it is the power of God unto salvation to every one that believeth; to the Jew first, and also to the Greek.